We both sell and buy palladium bars and palladium coins (palladium bullion products) to and from our customers. Investors typically buy palladium bars and other palladium bullion items in order to directly own tangible, private palladium investment vehicles with direct exposure to the fluctuating palladium spot price. Palladium is a rare precious metal and its US dollar price has at times been higher than both platinum and even gold. The all-time palladium record price happened near the end of the dot-com bubble. The all-time record high price of palladium occurred on January 26, 2001. That day, the palladium record price high reached $1,094.00 oz USD in the AM London Fix. The same morning of the US dollar palladium price high, the AM palladium fix was more than four times the AM gold fix ($264.50 oz), almost two times the AM platinum fix price ($616 oz), and over two hundred twenty five times the day’s silver fix price ($4.78 oz). Years after the 2001 peak in palladium price, derivatives offering price exposure to the spot price of palladium were introduced for stock market investors. In 2007 a palladium exchange-traded commodity security (referred in short as palladium ETCs) was introduced on the London Stock Exchange. In 2010, a palladium exchange-traded fund (called a palladium ETF in short) was introduced on the New York Stock Exchange. With the sharp drop in record high palladium prices and the introduction of new methods to gain palladium price exposure, investor demand for palladium. Is Palladium rarer than Gold? Palladium is indeed rare with an estimated Earth’s crust concentration of 0.015 parts per million (ppm). In comparison, silver is found in 0.075 ppm, platinum’s ground abundance is at 0.005 ppm, while gold is uncovered at 0.004 ppm in the Earth. To give you another perspective, if we convert palladium’s parts per million rarity into time, we would find 1 minute of palladium in just over 125 years’ time. For gold it would be more than 450 years, platinum over 380 years, and for silver past 25 years to 1 minute or their respective precious metal recovery. Although gold is nearly 4 times rarer in the Earth’s crust than palladium, human beings have been mining gold for many thousands of years while palladium was only scientifically discovered a few centuries ago. Thus above ground supplies of gold bullion dwarf today’s refined and available physical palladium supply. Officially discovered in the early 19th Century, modern mining data states just over 6,000 tons of palladium have ever been mined by mankind. Throughout history about 30 times more gold and some 230 times more silver have been mined compared to palladium. Over the past decade, capital flows for palladium as an investment have increased (especially since the inception of palladium exchange traded products) yet still virtually all of today’s palladium demand remains for industrial uses. Palladium is much more vulnerable to both mining and political disruptions compared to other ubiquitously mined and sought after precious metals like silver and gold. Palladium supply disruptions are often a catalyst for a sharply increasing palladium price. Today close to 80% of the fresh world’s palladium supply is dug up from just two nation states, South Africa and Russia. About 40% of all new mined palladium supplies come from South Africa while another 40% of the world’s current palladium mine supply comes from Russia. Both nations have had major palladium supply disruptions this 21st Century. It was a Russian palladium supply disruption late in the year 2000 helped spur the all-time palladium price record high of nearly $1,100 oz in January 2001. This same Russian palladium supply shortage caused the Ford Motor Company’s purchasing department staff to stockpile palladium at record high prices without prudently using futures or options contracts to properly hedge their palladium price risks. By early 2002 Russian palladium supplies were again exporting and the US dollar spot price of palladium had fallen by more than 60% from its prior year’s all-time record price. The Ford Motor Company was forced to write-off $1 billion of the value of the precious metal stockpile it had acquired. In more recent years, South African mining labor strikes, political instability, and turmoil have adversely affected palladium supply production totals often driving palladium prices higher over somewhat short time frames. Today’s annual worldwide demand for palladium has averaged at about 10 million ounces or just over 300 metric tons per year. The vast majority (about 70%) of palladium demand comes from the car industry’s catalytic converter intended to help reduce emissions. The next largest sector (about 10%) of palladium demand is for electrical industrial use like in semiconductor applications, metal plating, and fuel cells for batteries. Chemical and dental applications make up about 10% of today’s global palladium demand. Palladium jewelry and investment fill out the general remaining 10% of annual palladium demand worldwide. Often the smallest segment of world palladium demand comes from the palladium investment sector. Palladium investments range from derivatives or electronic shares in a palladium ETF to actual physical palladium bars or palladium coins sold and safely delivered to door by palladium dealers like us at Kitco Metals. Palladium is heavier and denser than silver, therefore 1 oz palladium bars and .999 palladium coins take up much less storage space per troy ounce than silver. Palladium is extraordinarily resistance to corrosion, wear, and tarnish. Palladium is very ductile metal making it more able to be stretched into a wire without fracture. The palladium melting point of 1555°C or 2831°F is very high compared to other metals but the lowest amongst the platinum metals group. The high melting point of palladium was yet one reason Spanish explorers regarded it and other high melt point noble metals like platinum as mere nuisances in their quest to find new supplies of silver and gold in the new world (the Americas). They simply did not have the technology to burn a fire hot enough to melt, refine, and identify these precious metals properly. Palladium Bullion delivery to door? Safe shipment in the mail of palladium bars ( 1 oz palladium bars, 10 oz palladium bars, and 1 kilo palladium bars) and palladium bullion coins is more common than you might think. The majority of our customers take fully insured, physical palladium delivery to their door or preferred mailing addresses. Upon fully cleared payment of your order with Kitco, your palladium bar(s) or palladium bullion coin(s) are secured tightly in nondescript packaging. Many platinum coins and platinum bars we carry at Kitco Metals qualify as platinum bullion investments for either a Palladium IRA or Palladium RSP. Recently there has been an increase in palladium prices and an increase in the number of palladium bars being sold to the investing public. Since the 2008 Financial Crisis, the trend of online palladium dealers selling palladium bars and bullion coins to the investing public has increased as well. It is quite common for investors to buy physical palladium bars online with the intention to take physical delivery in order to better diversify risks to their wealth and investment portfolios. 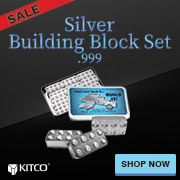 Why buy Palladium Bullion from Kitco? Finding a trusted local or online palladium bullion dealer to buy palladium bars is not as simple as a google search. You should find a reputable experienced palladium dealer who promptly delivers quality palladium coins and palladium bullion bars at fair and reasonable prices. Our organization has been working in the palladium and precious metals industry for over 40 years. In our time we have seen many local and online palladium bullion dealers come and go. 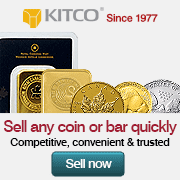 Since 1977, Kitco has been buying and selling palladium and other precious metal bullion items. 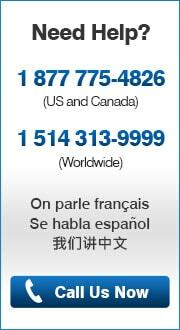 We are the world’s #1 palladium news website and a trusted online palladium dealer. Want more information on how to either sell or buy palladium?